Track your requested Trucker till he/she reach your destination with Geolocation services. 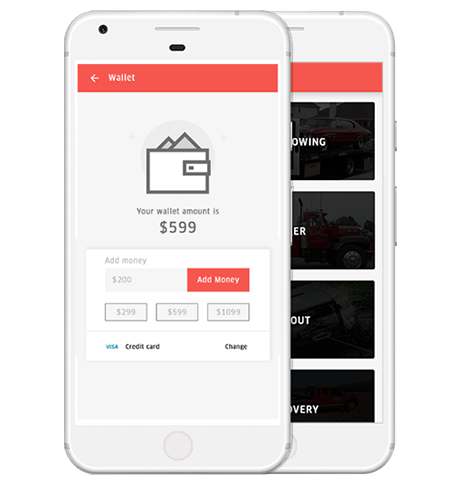 The app automatically calculates the final bill for the Customer taking many factors into consideration like the Trucker fee, distance to be covered, etc. Get a bird's eye view of customer's and Trucker’s activities, the number of requests, numbers of bookings, commissions earned most visited location and much more. The Trucker can accept or reject requests based on their own availability. If they are committed to another Customer they can reject the request and another provider may take it up. The admin can see where the customers are looking for Trucker in certain locations so that the admin can reroute the Trucker to those locations and pick up requests. The Trucker gets a separate dashboard for getting requests from Customers, availability toggle, commissions earned and such. Customers and Trucker alike will be initially authenticated by our app. The SMS with OTP will be sent to the respective number when they register thereby eliminating fake requests and users. Customers can place their ratings and reviews for the Trucker they have committed for the request. Comments can also be placed on the said Trucker. Higher rating Trucker will be placed on the field first for customer convenience. As the admin, you can set the distance range of the Trucker who accepts the request. So that when a customer places their request the Trucker in the specified distance range will receive the request. All our products are ‘Turnkey’. 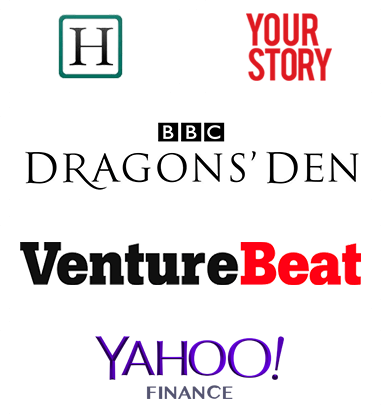 You can start with ZERO time-to-market and capture the largest market-share. Complete control of your websites and mobile apps is comfortably available in your admin dashboard. Our solution is entirely whitelabel to put whatever brand you want. Your customers will never know about Tow Truck. The entire Xuber apps, website and backend will be translated to a language of your choice. An enhanced version of Tow Truck app. Built with pure technology expertise to help entrepreneurs prosper. Launderers can turn on and off their availability with a flick of a toggle button. Apparently, they get to decide their working time and sort. Anyone who is looking to work on a part time basis can sign up to be a tasker. An open portal for those who are ready to do extra. This could be a recruitment marketing point for your startup to get students to try working for you and make a buck. Makes the reporting and picking up the day’s work schedule a lot easier. Convenient way to keeping the providers/users posted about one’s availability. After flagging every service request both parties will be given a feedback form to complete. The launderers will give feedback about their clients helping you weed out rude or non paying customers from your admin dashboard. Customers can leave feedback about the launderers too. Can also speak lengthy about how pleasant or bitter their experience was. 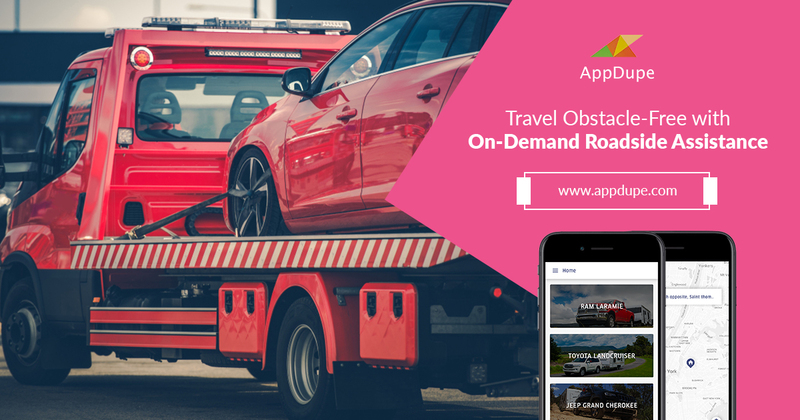 From the customer’s app home screen, they can see the available tow truck providers around them and decide if they want to book a request before they do so. This gives a more realistic expectation to customers about how long it will take for the nearest available tow truck provider to reach them. With minimal customization, you can even allow users to look at the profile and reviews of tow truck providers near them and select the best one. Tow truck providers can put on their availability calendar to build a dedicated list of tasks on their own preferred dates. This reduces the friction for new users to try out your service instead of having to type down useless informations. To procure proper email ids a small customization can fix it. Implementation of widely available form builder service can come handy at this point. Integrate short forms in order to save both your and your customers time. Keep the entry of extra informations optional.